ONLINE CODE: VPONLINE Must print coupon or show code in order to receive discount. Not valid with any other discounts or coupons. With coupon only. Coupons may not be combined with any other offer. Not valid with any other coupon. Not valid with any other offer. Coupon void if altered. Expires 05/06/2019. 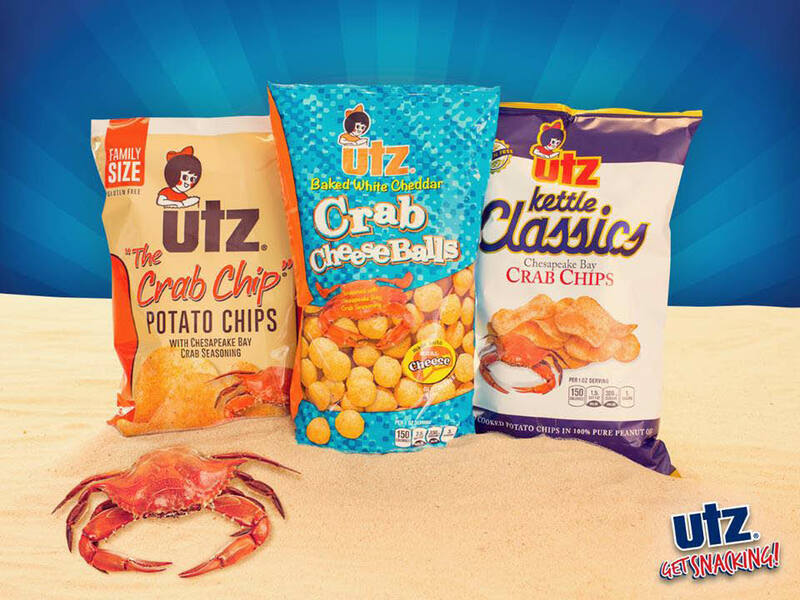 “No matter what you are craving, the UTZ Factory Outlet has a snack to satisfy. Conveniently located our Outlet Store is stocked fresh and offers free samples daily. Our clubhouse features bulk snacks, bargains by the case, factory 2nds and a wide selection of filled barrels. Made to order, fill a wide variety of Sports Tins, Decorator Tins or exclusively designed Gift Boxes with your favorite snack. 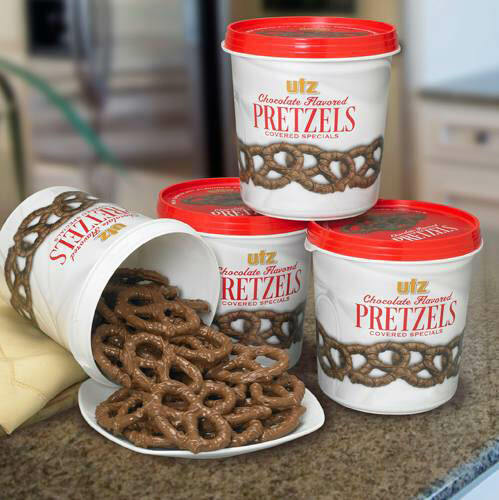 Visit our Chocolate Shoppe for our famous Chocolate covered Pretzels and Potato Chips. Snack On!" Regular UTZ Potato Chips, Kettle Classics Potato Chips, Grandma UTZ Potato Chips, Mystic Potato Chips, Baked Crips, Natural Product Line, Tortilla Chips, Organic Product Line, Pretzels & Select Pretzels, Rice Crips, Cheese Curls, Popcorn, Variety Packs, Party Mix & Pub Mix, Snacks in Barrels, Pork Rinds. You can see and smell the making of the famous Utz Potato Chips and Snacks at our over 600,000 square foot facility in Hanover, Pennsylvania.There, we have built a special glass enclosed observation gallery that looks down on our production process from beginning to end. You will be guided step-by-step with the aid of a push-to-talk audio program and closed-circuit TV monitors. 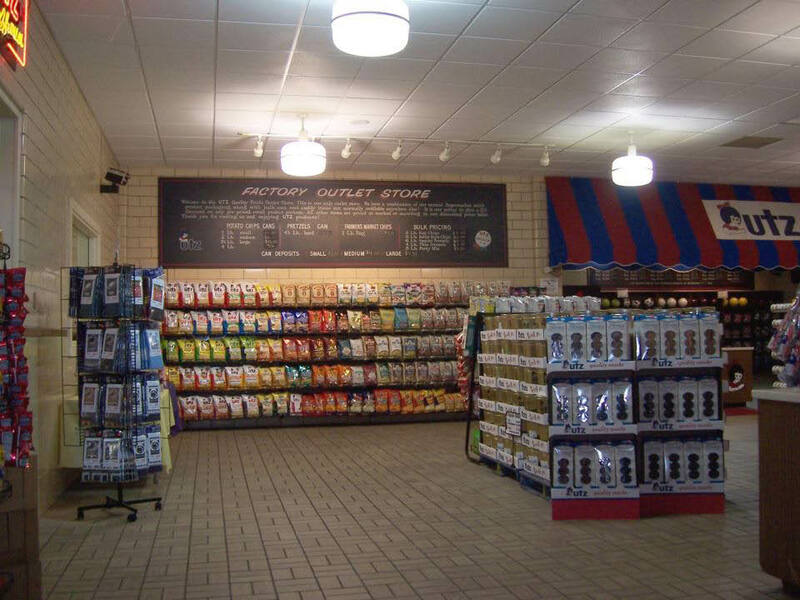 A wall display of Utz's history will enhance your understanding of the company and its products. .